Cleveland College Dewey supporters shared in the general confidence that Republican Thomas E. Dewey would defeat Democrat Harry S Truman. 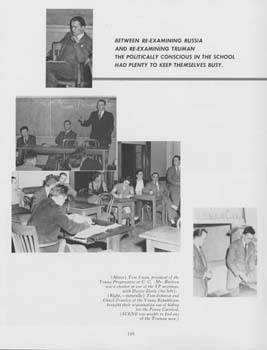 As reported in the student yearbook, Upon Trumans nomination, his backers went into obscurity as if they had done something shameful. 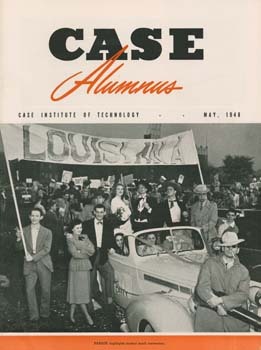 The College Deweyites relaxed and waited for the inauguration. Young Republicans shared, also, in surprise at Trumans victory, The Young Republicans first job as a post-election club was to make a house-to-house canvass of the city to find out what had hit them, offered the yearbooks analyst, Gene Hersh. 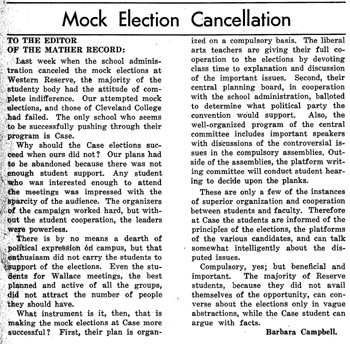 In a local upset, Case students held their first mock political convention, while WRUs was cancelled for lack of student interest. 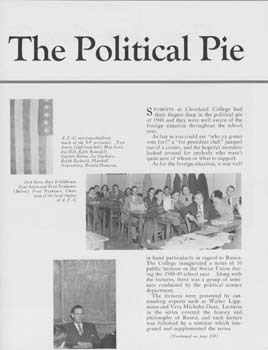 Cleveland College of WRU had several active political clubs: Truman-for-President Club, Stassen Club, Taft Club, Dewey Club, Young Progressives of America, the Young Republicans, and the non-partisan American Veterans Committee. Students at Case held their first mock political convention. The WRU mock political convention was cancelled.